Attention spans are short. Your call to action has to be clear and compelling. You should both show & tell. Story Maps can help. They combine facts, figures and timelines into a compelling narrative that's easy to share. Mass shootings are a scourge, but the scope of the horror is often lost in the statistics. This Story Map puts it all in perspective. Each circle represents a mass shooting with the size of the circle corresponding to the number of people injured. Clicking on one reveals more details about that shooting. Readers are directed to groups working to prevent mass shootings through live links to their web sites. Many African American seniors in Virginia find it hard to vote due to the location of their polling stations. This Story Map shows the locations of the senior citizen centers, the nearest polling station along with the distance a senior would have to travel to vote. 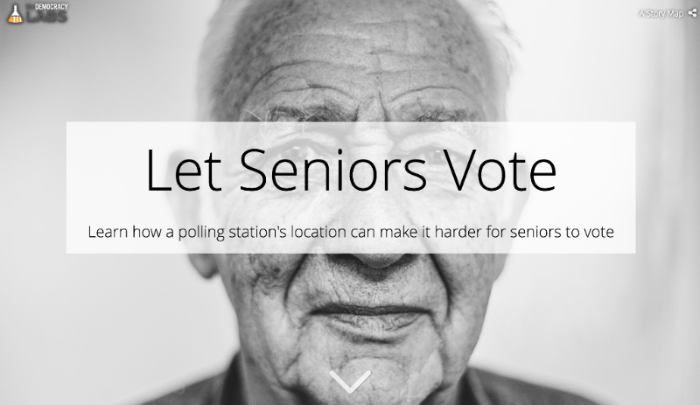 The map brings the facts to life, and is being used to request more accessible polling stations for seniors. There is nothing better than stories and images to personalize an issue. 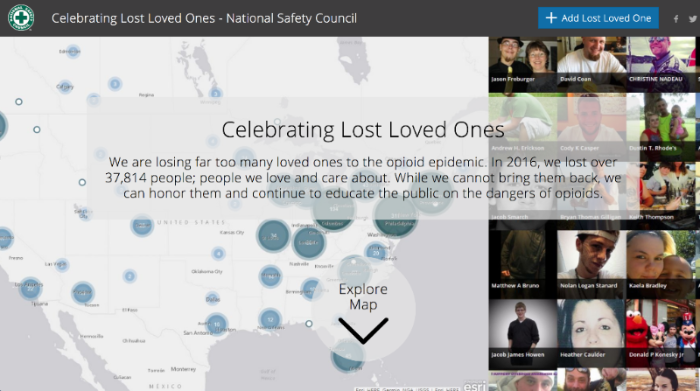 This Story Map used crowd sourced photos from people who've lost a loved one to opioids. Individuals can post the personal accounts of their loss to the map. The map is a tribute to those who have died and a powerful appeal to reduce deaths from opioid overdoses. 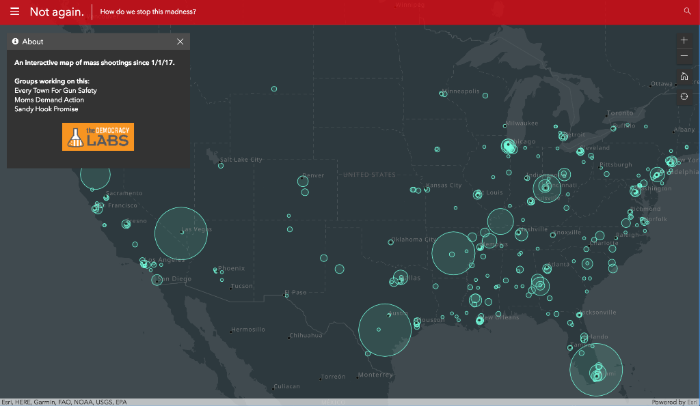 ESRI Story Maps are both easy to create and persuasive. Learn more here, or attend a free DemLabs workshop. DemLabs is a non-profit that introduces campaigns and activists to innovative new apps. We welcome donations to support our work. Thank you! P.S. The next DemLabs workshop is scheduled for May 2, 2018 in Washington D.C.